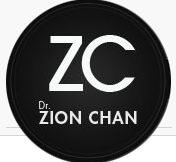 Dr Zion Chan is a leading Cosmetic Surgeon based in Sydney. Dr Chan specialises in Breast Enlargement, Breast Lifts and Breast Augmentation from his Sydney CBD clinic. Experienced and filled with industry knowledge, Dr Chan can answer all your questions about the procedure to give you the body of your dreams. Book your free consultation today by calling 1300 9784 86.